I know you've all been on the edge of your seat anxiously waiting to see what BB Couture had in store for their next collection. Well it's time at last! 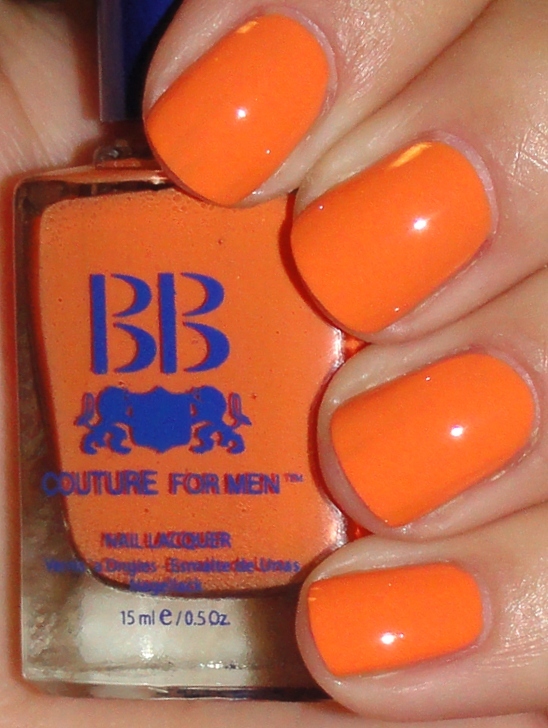 I love that they come out with new stuff so often, it's a polish fiend's dream! This collection, including both a Men and Women's set, is called A Touch of Greece, inspired by and named after Greek Gods and Goddesses. Oooh this is SOOOO up my alley! I have been into mythology since I was a young tyke, it's been fascinating to me. Persephone has always been my favorite. I swear if I have kids one of them will be cursed with that moniker haha. Well, maybe just one of my future puppies haha. 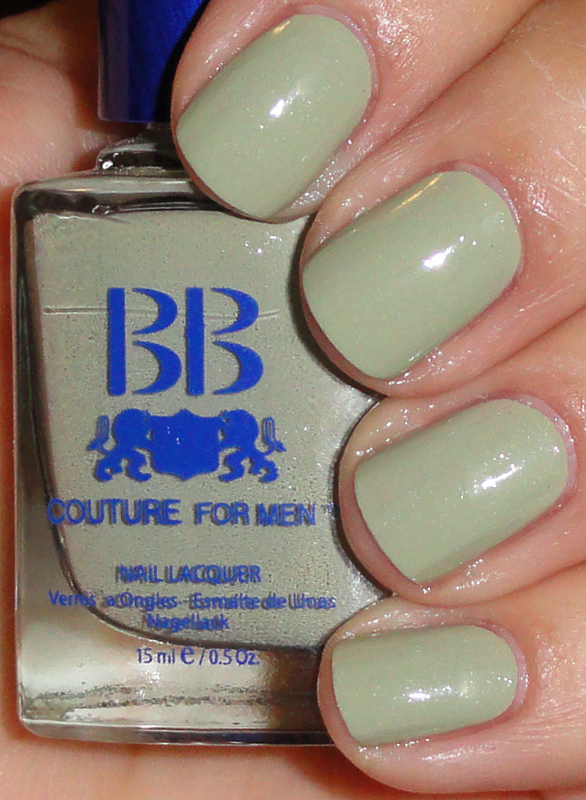 The men's collection has the square bottles, which I prefer, so I'll start with them. Eros is the color that drew my eye first. He is a pale avocado mint green, lighter and paler than Kelly's Green but almost in the same category. There are speckles of black and silver glitter floating about in the crème base of this guy, giving him depth. Eros is the Greek God of sexual love, desire and beauty. Well, that works for me because I luuuurve this polish! Two coats. Ares is the Greek God of war, and the second polish that I fell in love with when I first saw the new colors. Like the embodiment of a warrior, the polish has a silver sheen of shimmer, almost like armor, swimming in a deep grey crème with a slight cast of blue. This finish is close to one of my favorite BBC's, Impact Driver, without the purple. All hail Ares! Two coats. Uranus is not a color, or a name for that matter, that I was expecting to see in this collection. He is God of the sky in Greek mythology, husband to Mother earth, Gaia (who you'll see in the women's collection). This color is not going to hit it out of the park with everyone, but I personally really, really like him. He looks like yummy butterscotch or caramel syrup, and it looks nice with my skin tone. This guy will probably harbor a few giggles with more than a few people out there, but humor and beauty always make a good combination haha. This is two coats. Plutus is the God of wealth and abundance, so of course it would make sense for his polish emulation to be green! 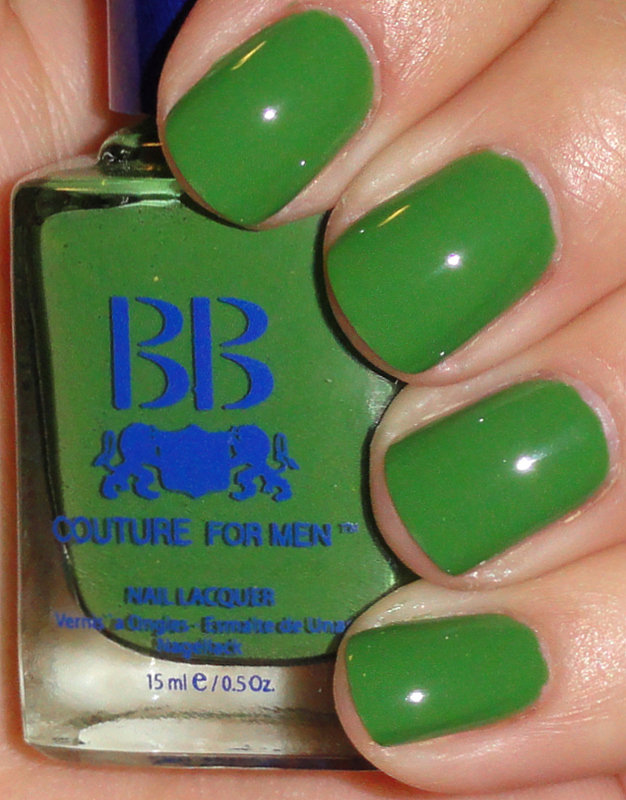 This guy is a gorgeous bright grass green jelly crème that flowed smooth and even with great pigment in two coats. Last is a color I wasn't quite sure I could wrap my head around at first. Hades is the God of the Underworld, the black sheep of the Greek world. I was glad he was included in this collection, as I said I'm a fan of mythology and he is an integral part of most mythos. 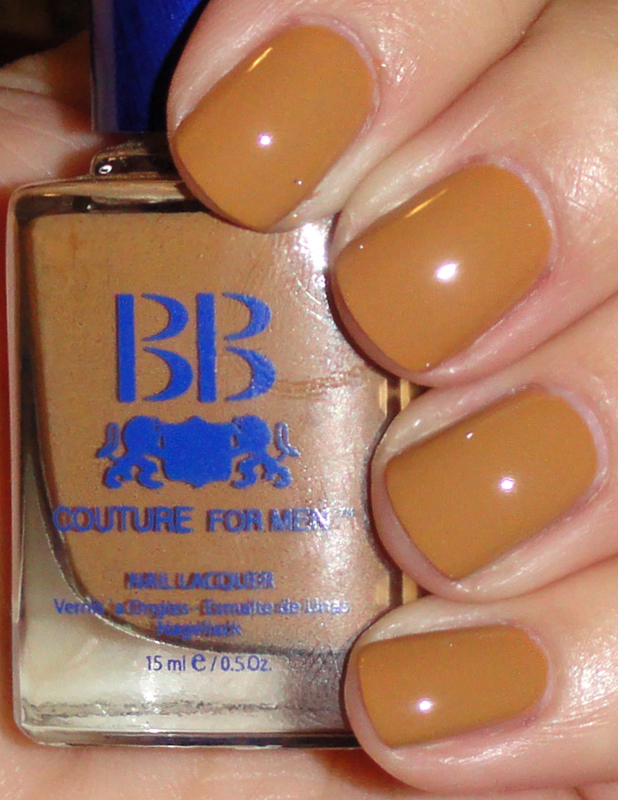 The color the ladies over at BB Couture chose to represent him is not a mundane black or grey, but a light tan khaki camel brown with a subtle shimmer! Very interesting! I have decided that I adore this color and will cherish it til my dying days. I may wear it on the day I meet Hades himself ;) This is two coats. Are there any stand out colors that catch your attention? I hope you're looking forward to the Women's half of this collection, as I will be showing them to you soon! These were provided for review.